With the ever-evolving technology trends in the industry, owning a fast reliable website with no downtimes has become essential. If you fail to do that, you stand nowhere in the market. Simply because the users aren't going to wait while your website pages are loading. May the downtime is due to a technically valid reason or due to any other reason, it is just not acceptable in the industry. As per a recent survey report prepared, it was recorded that Data center downtime costs you approximately $7,900 per minute, which equals to $747,000 per hour. This is not at all a small amount. If your website is down during the peak hours due to any reasons, it would result in a huge loss of revenue for you and you might lose your customers permanently. So, it becomes essential that your website runs fast and efficiently at all times. And not only would you lose your loyal customers, but your brand name would also fall down and thus presenting a bad reputation in front of the new customers. 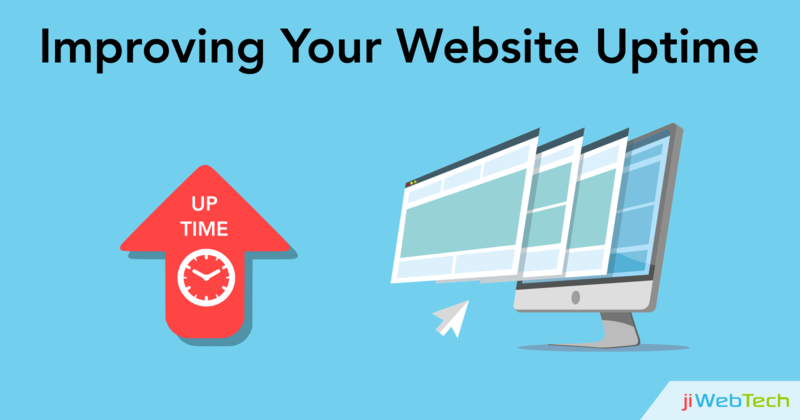 So, it's high time that you know the best practices to improve the uptime of your website. Here is a list of most beneficial practices which will definitely assist you in overcoming the downtime issues. An ideal web hosting plan: Make sure that the website hosting plan you have chosen is as per your website requirements. Verify if there is a need of any updates on the websites, discuss it with your vendor and make the changes if required. Check that the hosting plan you are using is perfect to meet your website requirements. If not, go for another hosting plan which can well suit your needs perfectly. DNS(Domain Name Server): While you are concerned about the downtime of your website, it becomes essential to consider DNS. If the DNS is down, your website will not work at any cost. You need to have the failover services offered by your web hosting provider which makes sure that whenever the network goes down, your website gets automatically shifted to other available networks. This will help in offering 24/7 availability of website pages to your customers. CDN(Content Delivery Network): Using a content delivery network tracks the static files of the website and delivers them to the user end accurately. This further assists you in attaining faster website loading and enhanced performance of your website. Security Aspects: Website security remains the first priority while you look up for the perfect functioning of your website. To maintain trust amongst your customers you need to safeguard their data at all costs. So, ask your vendor about what all security techniques are they using to keep data safe from hackers and other malicious activities. Make sure that they use encryption techniques which keeps the complete data in encrypted form and safe from the hackers. Regular monitoring: Making regular updates as required by the website would assist your website in experiencing no downtimes. So, ask your vendor if the updates are carried out on a regular basis or not and are they carried out automatically or manually. This will let your website work smoothly and end up in happy customers. Adopting these practices would certainly assist you in reducing the complaints about blank pages on the websites, more downtimes, and unhappy customers. Apart from this, you can go for a suitable web hosting vendor who can suggest you the best hosting plans for your website. Still confused? Try the best affordable hosting plans from us. Give a call at any time or drop an email to us!